Comodo Internet Security Pro 10 offers extreme protection backed by Comodo's Virus-Free Guarantee. 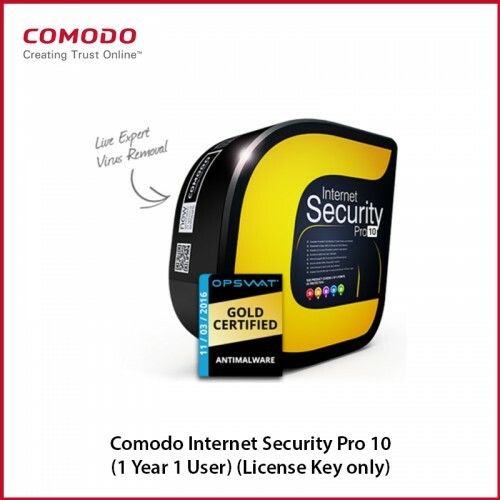 Combined with additional features such as 24/7 365 day remote support, Comodo Internet Security Pro 10 offers a better solution to your Internet security needs. If a PC that has Comodo Internet Security Complete 10 installed becomes infected with a virus or malware and cannot be restored to working condition by our support team, we will cover the cost of repair by a Comodo certified service up to $500. Comodo Internet Security Pro 10 relieves you of the responsibility of deciding whether to block or allow untrusted files - it makes the decisions for you. Game Mode suppresses operations that could interfere with a user's gaming experience such as alerts, virus database updates or scheduled scans.